This post was co-written by Jordan Odinsky and Mohit Mamoria. In the past few months, blockchain technology has blown up. 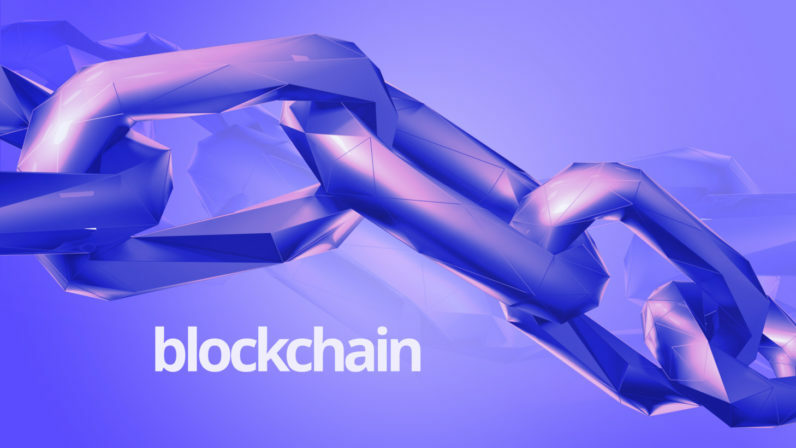 While a year ago blockchain was an unknown side note synonymous with Bitcoin, today there are dozens of applications making their way into mainstream media. To many, blockchain is a foreign concept reserved for computer science junkies and is irrelevant to the average mom and pop, but what many don’t realize is that blockchain is similar to familiar pillar in everyone’s lives: community. Sometimes, it’s hard to wrap our heads around the statement that ‘blockchain is a new technology’. In a sense it is, for it allows us to build useful applications on top of it, but truly, it is just a group of individuals who follow a certain set of rules that allow them to trust each other. Anyone can play the game if they follow the rules, just like in a community. Similarly, blockchain is a community of participants across the globe that rally around a similar cause: to provide transparency, trust, and decentralization to the world. As communities and blockchains grow, there are more participants devoting time, resources, and capital to the network, making it more valuable with every user that joins. Trust is a concept that whole books can be written about. As a species, whom do we trust? Why do we trust family, friends, or business partners? If zeroed down, you’d find that we trust people who have proved their honesty through their actions more than once, and have not betrayed us. As soon as someone backstabs, their thousand honest acts of the past stop counting. In the simplest form, the only rule of the blockchain community is — ‘whenever you do something important, shout and let everyone know.’ If blockchain was used to power a currency (like Bitcoin), the important action worth announcement would be the act of sending money to another person. As soon as you make an announcement, everyone else record it, thus never allowing you to go back on your statement. The very act of getting something recorded by thousands of strangers provides the trust. The statements are locked using math in such a manner that no one can ever modify it. The math that is used to lock those statements has proven its honesty for uncountable times in the past and haven’t failed us yet. And due to the way a blockchain functions, even if an individual tries to be dishonest, the math doesn’t allow him/her to be. The truth is that for most of us, we do not only trust our communities of friends, family, and business contacts — we also trust our brands. We trust Google with our data, Facebook with our thoughts, JPMorgan Chase with our money, and ultimately the keys to our lives. For decades, corporations have been leveraging our data to power trusted decentralized communities that fuel their customer acquisition and branding strategies. The key to these brand communities is that it’s for the community, by the community. While the corporation isn’t officially tied to these decentralized communities, the central theme remains that the corporation brings together likeminded individuals who are aligned towards common goals. BMW has built a strong brand synonymous with the word luxury. BMW vehicle owners view themselves as part of a global tribe and exude pride and status as they drive down the freeway. To them, if you aren’t driving a BMW, you’re not driving at all. These drivers rally around the common unwritten doctrine that they are truly different from all other car owners. BMW’s decentralized community is called the BMW International Riders Association. With over 35,000 members, the community is run totally independant from the corporation and is based on the idea of sharing experiences, ideas, and concepts. The IBMWR is run by elected officials nominated by the general community. Most companies enjoy some benefits of decentralized communities. By doing a quick search on the popular community platform Meetup, you’ll find that there are nearly 100,000 participants in the Apple Meetup community. While Apple doesn’t manage, oversee, or even play a role in these events, they surely benefit greatly from these for the community, by the community activities that boost their bottom line. Blockchain shows early but promising signs of powering an entirely new kind of organizations called Decentralized Autonomous Organization. As the name suggests, the organizations will be decentralized (that is, not controlled by a few people) and autonomous (that is, self sufficient in itself). What does that mean in practice? It means the organization without hierarchy, not even implied, will be possible. And these organizations will allow brands and corporations to officially support (not run) the global communities around their brands. The enterprise will only be responsible to define the constitution of the community and put it in the code. Beyond the constitution, the brand has no role to play; the members powers the community entirely. The important decisions in the community is not taken by the top of the pyramid (remember, there’s no pyramid like hierarchy) but by everyone. Every proposal gets submitted in the form of a Smart Contract on which everyone can vote. If the threshold defined in the constitution is met, the proposal gets activated for the community. Such contracts can help a community organize meetups, events and get togethers. Even the contracts to unanimously assign certain responsibilities to an individual is possible. The members vote in to assign a role to an individual but if the person doesn’t fulfill his/her job well (or behave like a total jerk), the votes can be withdrawn, making the role taken away. Communities and organizations will thrive in an environment where power is not converged in the hands of a few. Blockchain allows brands to support a community without the efforts that it takes to support one in current times. These decentralized autonomous communities will help organizations do the things that don’t scale at scale. The leverage of trust is the biggest leverage a business can have. It’s only trust that allows us to put our family photos on Facebook, put our money at the hands of PayPal and argue with our friends why we don’t need a headphone jack in our phones anymore. Trust has been a cornerstone on which billion dollar businesses are built. Businesses of future will not be only about providing value through products or services; they will also be about providing value through the community. Biggest businesses of next decade will also have a powerful tribe evangelising it. Products will be sold not only because of the value they offer but because of the tribe they will provide access to once bought. Along with their products and services, communities powered by blockchain will be the new norm for businesses of the next decade. That could end up taking shape in a few different ways. Instead of JPMorgan Chase validating wire transfers manually using a limited staff, they’ll be able to verify transactions through the community, saving time and money. Zillow will become a powerhouse in doing real estate transactions over the blockchain weeding out agents, lawyers, banks, and other intermediaries. Reddit, Facebook, Twitter and other social networks will become the destination where fake news cannot live long because the community hunts down each such news using a public blockchain. SolarCity will have a community of localities, where each such locality has divided itself into the roles of producers and consumers, and trade the solar energy generated using a blockchain. To sum up, the future of community and blockchain is very bright and we’re excited to see how it unfolds. If you’re interested in blockchain, and Ethereum in particular, check out our upcoming AMA-like session with Ethereum’s creator Vitalik Buterin: Post your questions here!